Hi there! We’re back. Bruce and I had a long chat about how we wanted the newly-relaunched (and refitted?) Boldly Gone to feel different than what Ming had done before. 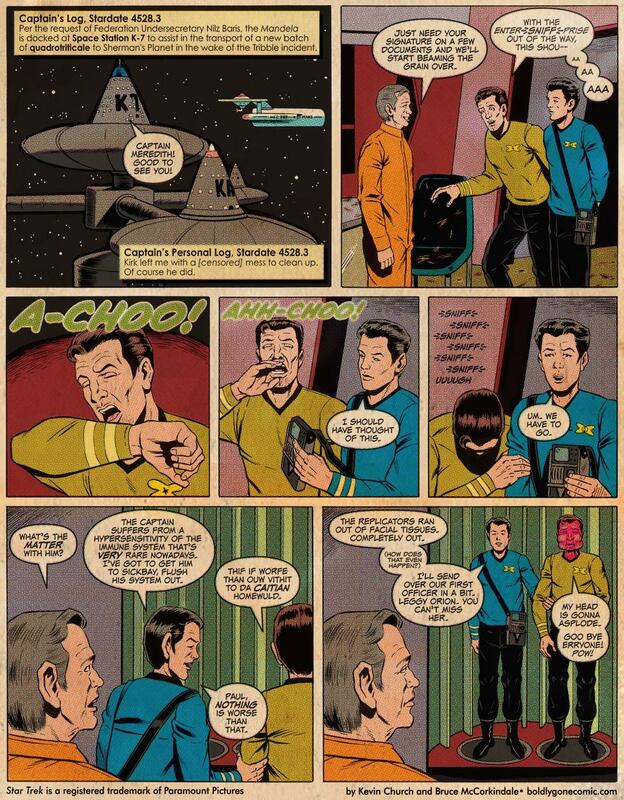 Since we’re both Of A Certain Age, sovaldi we started to talk about old school Trek comics and those dubious-but-charming Gold Key/Western books came up. After that, generic our path was clear. We hope you appreciate what we’re doing here and we’ll see you in two weeks! You got me with that smudgey-looking scan ripple at the top left-hand corner. I love the new look. Aww, thanks for the nice words! I remember old-style newsprint comics as well. I really like the four-colour colouring look. Hey, Leckford – it’s a temporary demotion! 🙁 I will reinstate proper status next time. Glad you’re liking the look of the strip! Also, thanks to everyone else for the nice comments. i wasn’t sure if i’d stick with the strip after ming left, but i have to admit that’s pretty great. You’re back! Fantastic! Still the sexiest tug in Starfleet. I don’t remember Gold Key getting the details right, either – McCoy in gold, rocket thrust issuing from the shuttle bay, etc. – so bonus points for authenticity!